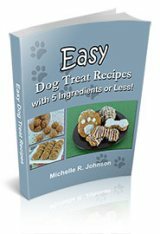 The best homemade dog treat recipes your dog has ever had come from your own kitchen! 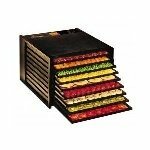 So take a peek into our recipe box and choose from your favorite dog biscuit recipes and homemade dog treats. Next, grab your apron, and let's start baking! Ingredients - You have complete say in what goes into (and stays out of) your dogs' treats. You can customize ingredients in your treats once you know the dog treat ingredients to avoid. Easy - We have simple recipes to choose from for those with little baking experience or little time. Easy dog treat recipes are also a great way to get kids involved in baking for the family dog. Size - Dogs come in all sizes and so do their tummies. When you bake your own treats you can size them to fit your needs. 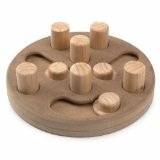 You can find many different sizes of dog cookie cutters to fit your dogs size, the theme of the season or special event. Check out our dog biscuit recipes to see the fun shapes we have used like our bones, hearts, pumpkins, carrots, gingerbread men, and even turkeys! Special Needs - Is your dog in need of weight management, does she have dog food allergies or is he in need of dental care? 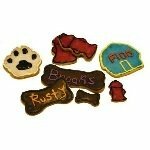 If your dog has these or other special needs, you can bake the dog biscuits he requires. 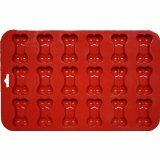 Once you get in the kitchen and start baking you'll see there is no limit to your imagination. You can start with every dog's favorite, a peanut butter dog treat. 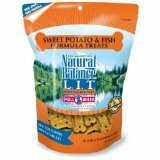 Then try recipes for gourmet dog treats, vegetarian or organic dog treats to see which one becomes your dog's new favorite. Are you training your dog in agility or the basics in manners? You're no doubt going through a lot of treats! 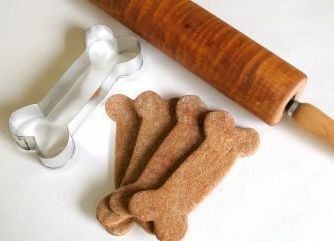 Try baking a recipe for dog training treats such as dehydrated liver. 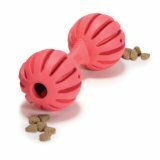 They make a very motivating, inexpensive, and healthy dog treat. Do you have a special event planned for your dog? 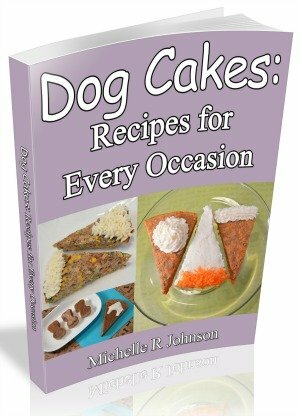 Check out our delectable dog cake recipes that will be the bark of the party! 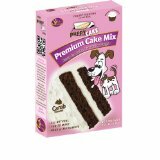 Don't forget to add the dog treat icing to complete your dog cake, muffin or dog biscuit. These dog treat recipes will help you get in the kitchen and start baking the very best for your dog. Are you already a pro at baking homemade dog treats for your dog? Do you have creativity and fantastic business ideas? Then you'll want to read my review on How to Start Your Own Dog Bakery Business before you take your first orders for specialized homemade dog treats! Ready to bake? Then choose a category of homemade dog treats on the left. only to send you Dog Treat Mixing Bowl.